High growth Shopify retailers use Okendo to build shopper trust and excitement, showcase customer experiences and compel buying action. Generate customer ratings and reviews to increase shopper trust, build excitement and compel buying action. 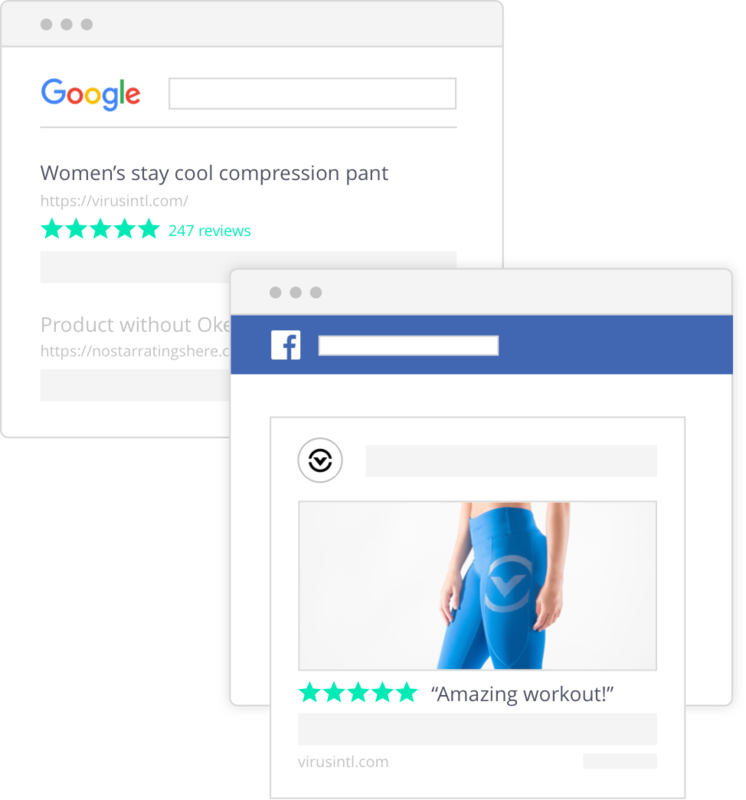 Use structured ratings to capture actionable product intelligence and showcase your products unique selling points and key value drivers. 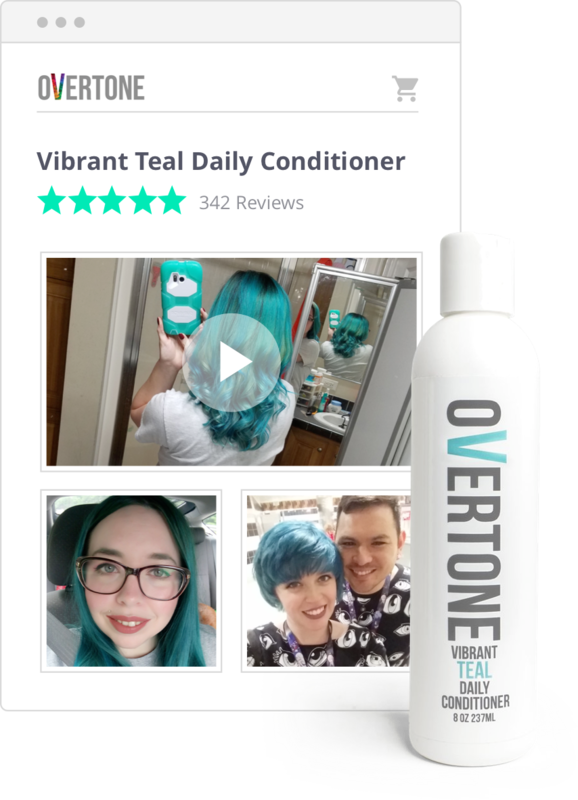 Enable customers to visually showcase their product experiences with user-generated photos and videos. Drive more qualified shopper traffic by integrating customer content into your paid and organic marketing channels. 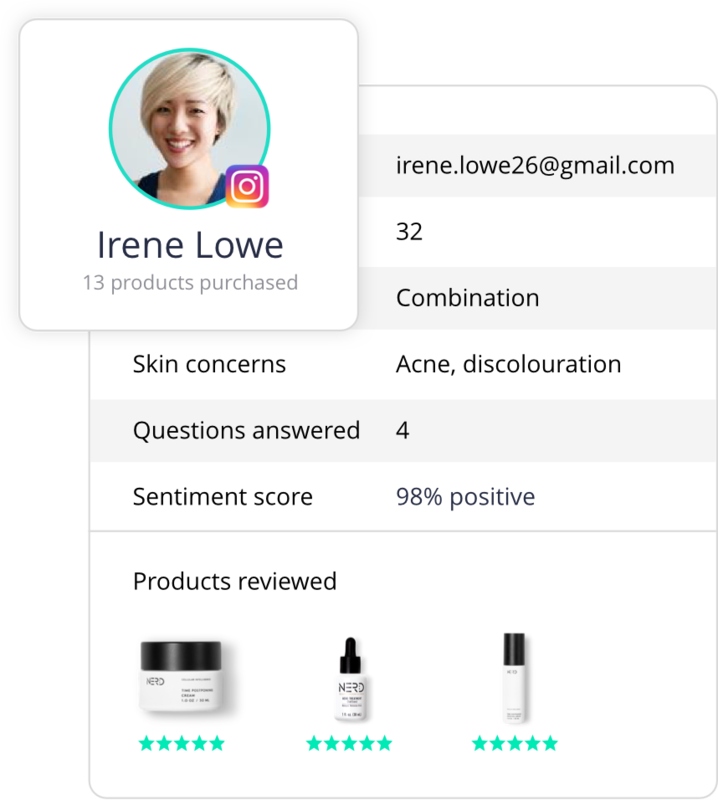 Bring customers to life with product reviews that capture social graph data, personal attributes, preferences and behavioural insights. 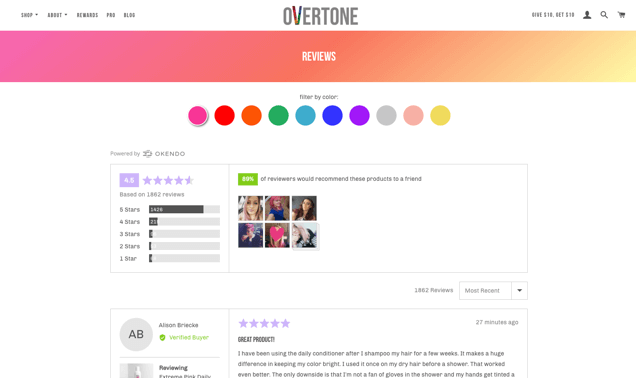 OVertone uses Okendo Reviews to create a real sense of shopper community, a place where past customers provide curious shoppers with insight into the hair dying experience, complete with ratings, reviews, shopper profiles and pictures and videos. 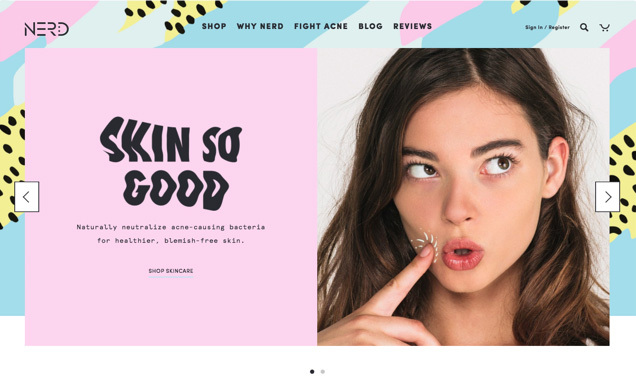 NERD has worked with Okendo to implement an integrated, multi-channel customer content marketing strategy that has delivered a meaningful lift on key ecommerce metrics such as store visitors, check-out rates and average order values.